Our equipments are among the most reliable products in the international market and among the longest warranty times. They are compliant with the CE, CEI and UL 1741 requirements. Some of them are guaranteed in many reparation centres worldwide. For the rest of the equipments, the costs and freight of their spare pieces, to every destination in the world, are at our charge during the warranty period. We ship to more than 60 countries. Depending on the availability of our products in our stock and the location of the customer, our equipements are shipping to storage centres in Hudson (USA), Ontario or Pointe Claire (Quebec, Canada) or Saint Germain du Puch (France) to have the best shipping rates. The payment modes are wire transfer, Paypal or credit card (Visa, MasterCard, American Express...) via Paypal without the need to open a Paypal account. It is possible to pay some shipping freights on our website. Otherwise, after your online payment, it will be necessary to pay directly the shipping freight with your Paypal account by choosing the “payment”index, writing the email sales@msmelectric.com and the amount of the shipping cost indicated on our website. Otherwise MSM Electric will contact you. MSM Electric has partners, resellers and installation engineers in many countries (Switzerland, France, Luxembourg, Guadeloupe…). The installation engineers have installed many products with great success. We can put you in contact with them to make you benefit from their services and grants. Some of these installation by our partners are described in the Customer's Installations. We can also put you in contact with many European and other customers that will inform you of the nature of our services and products. The shipping costs, everywhere, are on our charge during the warranty period. To remove completely your electricity bills, MSM Electric proposes a solar air-conditioner and a 50 000 BTU complete solar furnace solution which can provide savings from 20% up to 60%. 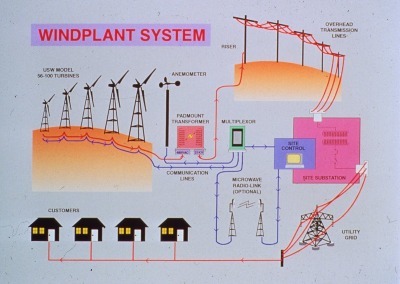 These systems will be combined with Grid-Tie Wind Turbine or solar panel, which can be installed in some hours, and which have UL - 1741 inverter listed for connectivity to the electric utility grid and also UL tested for compliance with CEC and NYSERDA standards for grid-connection. With this system your meter will turn more slowly or will not turn or will turn to the opposite direction to allow you to be electricity supplier. The system will reduce or even eliminate your monthly electrical expense, and in certain areas, generate revenue. At the same time, MSM Electric presents you, in Energy efficienty page, some basic ways to intelligently reduce your appliances needs. 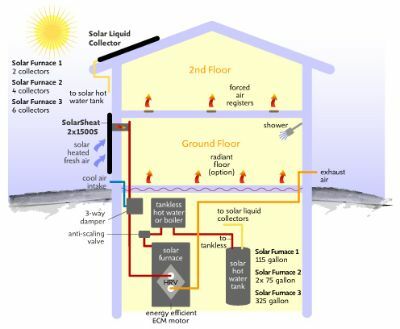 Most homes can inexpensively reduce their electricity demands by 20 to 30% without ever having to make any adjustments in the lifestyles of the occupants. If you use fuel for water pumping or your industrial equipment contact us. We can sometimes, with your diesel investment in 5 five years, to get full automatic operation and advanced digital design solar or wind installations without maintenance which can ensure your water need during more than 25 years. 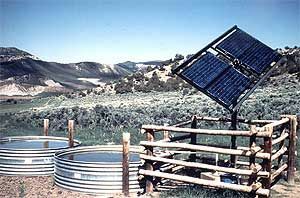 For more informations click on Solar pumping and Wind pumping. 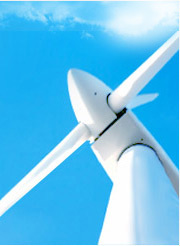 Solar or wind powered systems are an excellent choice for powering communications equipment. 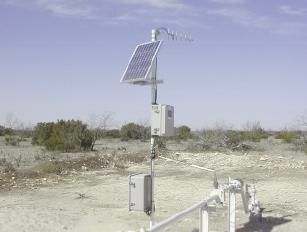 Our systems offer many advantages suited to the unique needs of long-distance communications. Communications equipment often needs to function in remote and inaccessible locations. It is often used in critical applications, where 100% uptime is necessary. 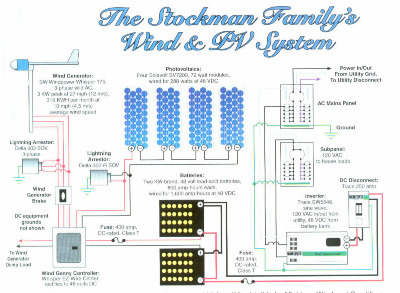 When there is grid power available, solar or wind powered systems make an excellent backup power choice. For more infomations visit Industrial. 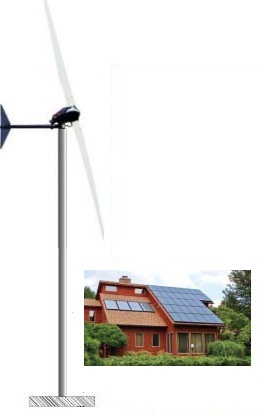 Where there is no grid connection, a wind or solar-powered system with battery backup can provide all the power you need. 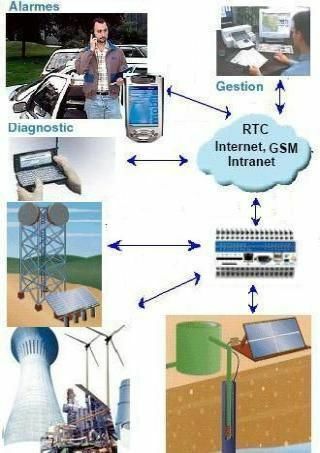 The portability and decentralized nature of wind or solar power make it an ideal choice for remote locations such as radio towers and phone relay stations. According to your choice, MSM Electric proposes, installs and brings into service Remote Terminal Unit and necessary accessories which monitor the correct operation of all distant equipments. This Remote Terminal Unit can automatically alert the technician maintenance about any breakdown. It make possible to modify any equipment parameters operation and to collect, via the phone network, Internet, Intranet, the technical data (produced powers, tensions, amperages, temperatures, batteries load state, tank levels...). It make also possible to consult assessments and personalized graphs with automatic update and a possibility to diffuse them by e-mail or fax. To find out more, please visit the Services section of our site. For any order, assembly, installation assistance and accessories choice of your wind turbine and PV ( inverters, batteries, cables, protections, controller…) are free. Benefit from it. Our marketing policy, with our foreign customers, consists in proceeding by credit letter. This procedure makes a third international bank to keep the customer payment until he receives the material. Once the material received, this bank will give us the payment. The credit letter is often necessary for the imported or exported services payments. It is a very secure method to have the material and the payment.